Two vehicles, 17 firearms, jewellery and tools have been stolen from a property in Bosham, police have said. Sussex Police issued an appeal for information today (September 3) to the break-in at a property in the village between 9.30pm on Wednesday, August 15 and 1.30am on Thursday, August 16, while the homeowners were away. In a statement, a spokesperson said: “A significant amount of property was stolen, including approximately 17 firearms, jewellery, tools and two vehicles – a BMW and a Ford Transit flatbed van. “The BMW has since been recovered but the Transit remains outstanding – the cab is white and the flatbed is black. 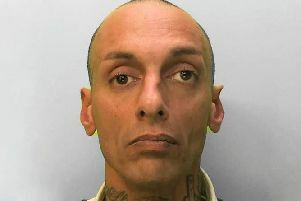 To report information, go to www.sussex.police.uk, or call 101, quoting serial 355 of 16/08.